How Will You Keep Yourself? 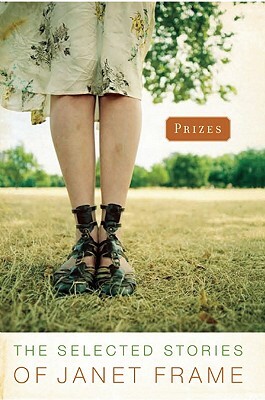 I’ve spent the past week immersed in Prizes, the selected short stories of Janet Frame. I was introduced to Frame, one of New Zealand’s most celebrated writers, through Jane Campion’s adaptation of Frame’s autobiography, An Angel At My Table. I watched this film in a deep, lightless Michigan winter, during a time when I lived alone; huddled on a loveseat with sinking cushions, I let the washed blue light of Campion’s filming and the harsh, scrubbed look of the rural New Zealand landscape open up before me. One must be kept, swept, turned inside out, shaken free of insects, polished, pleated, trimmed, preserved in brine which is collected in opaque green bottles from the sea or from tears which fall in the intervals between each death. The self, in the hands of Frame-impersonating-Alan’s-elders, is a household object, subject to entropy: to dust, to wrinkling, to overgrowth. The self is also a liquid that takes the shape of its container. There are all sorts of containers. The question “what do you want to be?” (or “what will you do with that degree?” or “but how do you make your money?” or, as I heard this weekend, “Creative writing. So, do you work for a newspaper?”), reflects a fear about what that shape will turn out to be. A lawyer is a familiar shape, as is a nurse. A poet – what shape is that? Alan’s nameless, faceless elders seem to say to him: we’ve done you the favor of giving the amorphous blob of you a name; now what will you do with it, where will you put it? Among the corpses! As I type this, I am carrying out my plan of writing at night, and I can second Alan (can you?) in the sentiment that as long as you are somewhere you’d rather not be, the ideas come easily. At my first job out of college, indignant at being bored in the office when I would have rather gone home and written, I drew elaborate cartoons that I hung on my cubicle walls. I know a poet who wrote her first book while in law school. Legend has it that at least one well-known novelist has finished a draft while locked in his white-collar office. “It’s the revenge of the dead,” Alan hypothesizes, but at that point he is beginning to be fatigued. The world’s reluctance to let him be a poet – without thought to how he will ‘keep himself’ – is becoming evident. “But he knew it was not the revenge of the dead. Their toes were tied with pink tape, in bows, as for a festive occasion. Their faces were in unsealed envelopes, forwarded at half-rates with five conventional words of greeting. All was in order. The dead did not need revenge.” The dead, too, have their shape; in their way, are kept. I won’t give away the end of the story, but you’ve probably guessed it: poetry does not quite triumph. (“The Triumph of Poetry,” as it turns out, is the name of a little magazine that heralds Alan’s early work long after he can reasonably be called “a promising young poet.”) In the end, what we all fear happens to Alan: a youthful attempt to build room for poetry into one’s life is overtaken by the act of building a room (from bricks of employment, family, trappings of middle-class life). This is something I wrestle with, when I sit through a long staff meeting and can’t quite focus my eyes; when I come home and open up a Word document and can’t make any image come clear; when I sit across a bar from a friend and explain to her that my 9-5 job is, actually, the best way I can “make room” in my life for writing. Day job, sometimes I have my doubts. Not because I want to be a destitute elderly person one day, or because I still think wistfully about academia (although I sometimes do), but because I wonder if trying to give our writing a room of its own sometimes means that we’re cordoning it off, organizing it out of the rest of our lives. I’d like to end on a more hopeful note, so I’ll make a recommendation, for myself, and for anyone who feels like taking it. I prescribe letting the work – the real work, the honest work, work that you would not disown even if fifty magazines rejected it – spill over once in a while. Let the liquid get out of its container. Write at your day job: a few sentences at lunch, a line scribbled on the last page of your legal pad at an endless meeting. Take notes when you’re on the phone or when your students are working quietly, on how people interrupt or repeat themselves when they talk, how the fluorescent light looks on everyone’s skin. Once in a while, for the sake of the work you love, let everything in your life run together, and wrinkle, and rust.